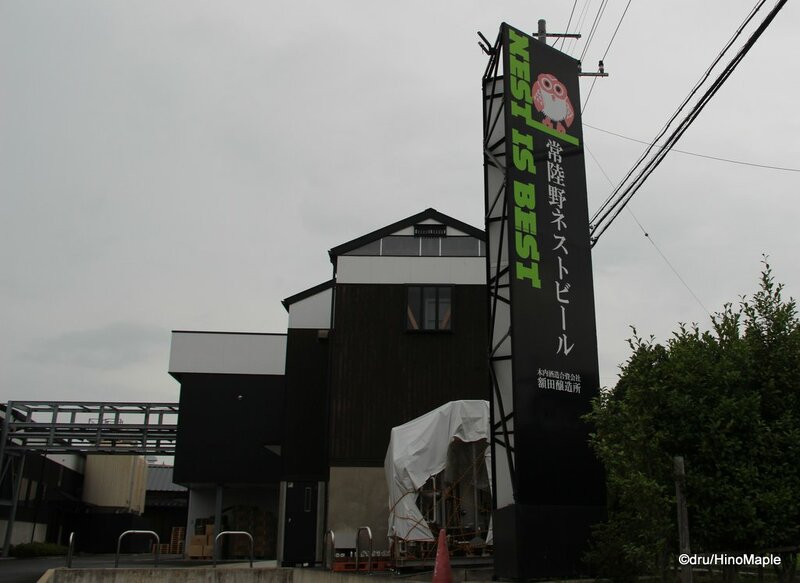 When I was at Kiuchi Brewery brewing beer, I had finished at a bad time. We finished brewing our beer just before 3pm, so we had a lot of time. Our host, Haruna, was really nice and offered to take us on a brewery tour as well. She is one of the main brewery tour guides so if you go, say hi for me. Going on a brewery tour after brewing beer is not a regular occurrence. It was probably a special case for us. We are not Japanese; it was a weekday; and there were no other brewers there for the day. The timing was also right as we just missed the 2pm train back to Mito and it was 2 hours till the 4pm train. We really didn’t care and we would have been happy to just sit at the bar having a few drinks till the train came but who can turn down a free tour of the brewery! 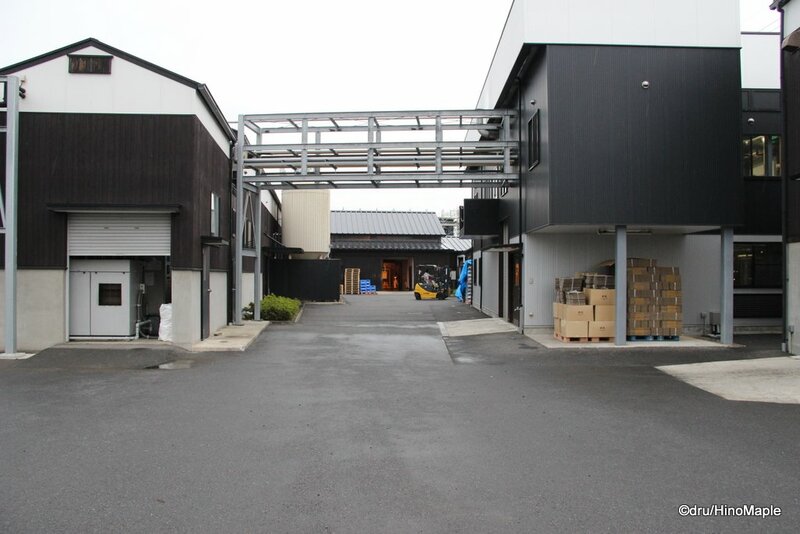 The main brewery is a little distance from the Brew on Premises site. You have to cross the train tracks and it can take up to 20 minutes to get there. It isn’t far at all but at the time we went, it was starting to rain and the lightning was going like crazy. We got to the brewery and started our tour. It started with the grain room where they store the main grains. We got to see their milling process up close and personal. After that, we headed to the main brewing room. We took a look at the entire process and the huge machines that are used to brew beer. It was amazing to get an up close look at everything. I was a little boy in the toy store when I was there. I was very curious as to what they did exactly and wanted to try it out myself. I can’t imagine what it is like in the summer as it was sweltering inside the brewery. Under all of the huge mash tuns is a big container used for all of the used grains. I was told that the used grains are sent to the local pig farms for feed. Many brewers around the world use the spent grains for animal feed and other products. We then took a trip to the fermentation and maturation tanks. These are all pretty straight forward. After you brew the beer, you pitch the yeast and let it sit for about a couple weeks. Once it is done, you move it over to the maturation tanks where it just sits and waits to get tasty based on the alcohol content. Sometimes you age it in barrels, but most of the time you just age it in tall tanks. Hitachino Nest has a lot of interesting equipment and I believe they keep a lot of their old equipment as well. No point throwing away something that is still very useful. We then took a quick look at the bottling area and the storage area. 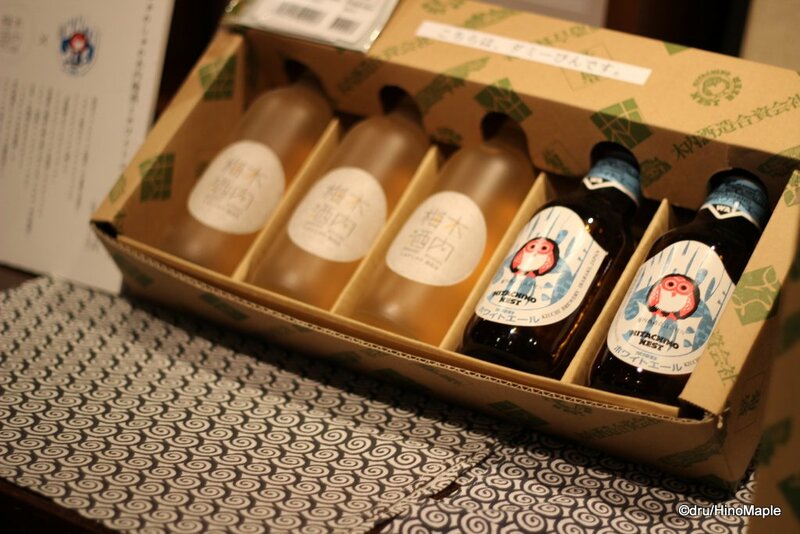 It was fun to see all of the different bottles that they have and also to see that wonderful and delicious beer. 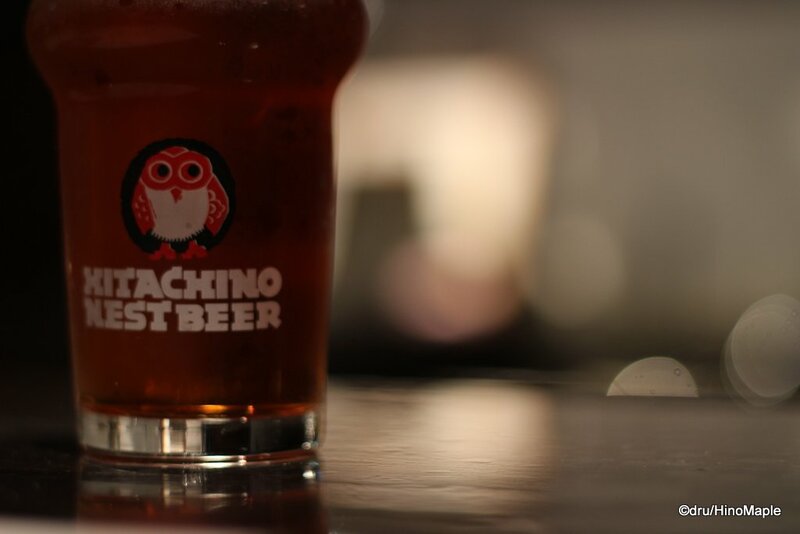 I was surprised that Hitachino Nest does a lot of plastic kegging. Domestically, it is fine to use traditional metal kegs, but for export, plastic is the way to go. 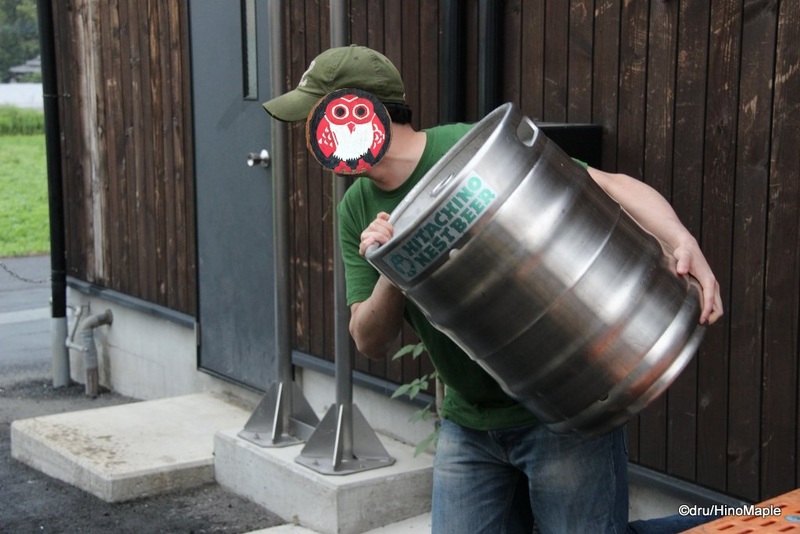 Sending kegs from Japan to various countries is not very easy, especially when you need to get them returned. I guess this is why it is very hard to see micro brews on tap when you go to different countries. We had a chance to get a sample of the freshest beer possible. Straight from the maturation tanks, we were given a few samples. We had the Espresso Stout and the Real Ginger Ale. I believe we also had the Brooklyn Lager. If you didn’t know, Brooklyn Lager, an American brewery, has a contract with Hitachino Nest to brew their beers for the Japanese market. I can’t tell you how good it was to have very fresh beer. I have been on a lot of different brewery tours in Japan and also Canada but this had to be the best one. We were able to see EVERYTHING. We could get up close and personal and even try the beer straight from the tanks. 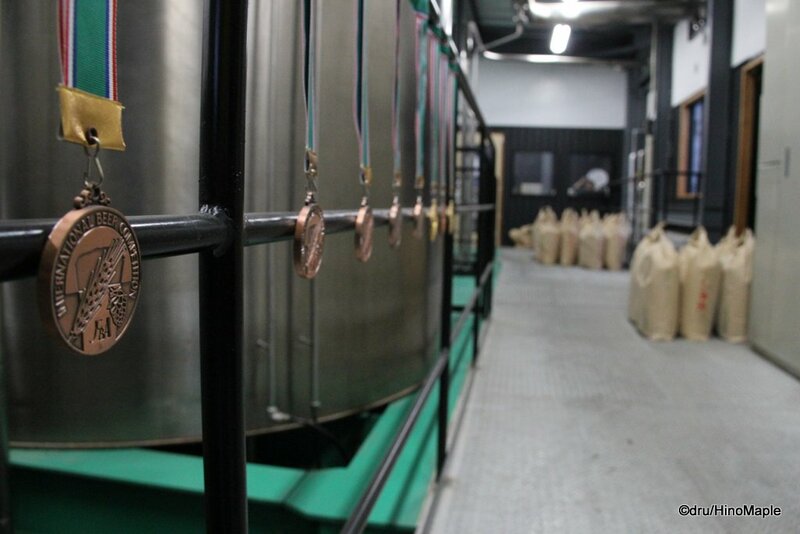 If you do reserve the brewery tour, it costs 2000 yen a person. It may not be worth it for many people but if you happen to be up there, it is not a rip off. You get to sample some great beer and hear a lot about the company. The shop is also great and I recommend you head there to check it out. This entry was posted in Kanto, Kanto Food and tagged beer, craft beer, Hitachi, Hitachikonosu, Hitachino, Hitachino Nest, Hitachino Nest Beer, Hitachino Nest Brewery, japan, Ji-Biru, Kiuchi, Kiuchi Brewery, Mito by Dru. Bookmark the permalink.